Motus Handling joins our team! MOTUS HANDLING NV enters a new phase of life under the dome of the VALTECH GROUP, ensuring synergy and complementarity with the other companies of the group. MOTUS HANDLING continues to operate as an independant subsidiary company, allowing further development of its activities, still maintaining its individuality. All activities and contacts remain unchanged. In the last years, MOTUS HANDLING has developed itself in the lap of MOTUSHAPES GROUP, into a full-fledged market player for the engineering, production and implementation of turnkey projects in the domain of “material handling systems & solutions”. 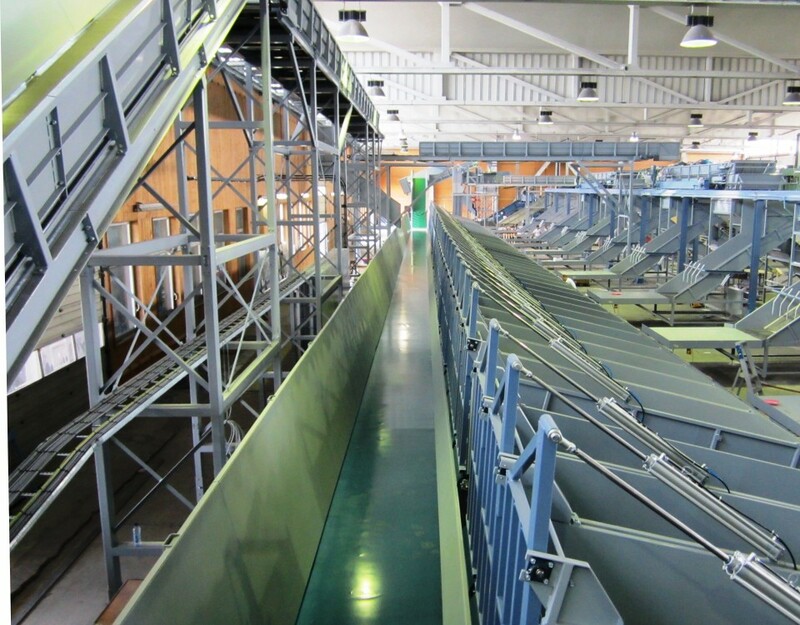 The products and solutions range from handling systems for pallets and unit loads, manipulators and automatic plate warehouses (vertical cooling towers) to recovery of textile goods, automation and PLC controllers. More information on MOTUS HANDLING on www.motushandling.be. 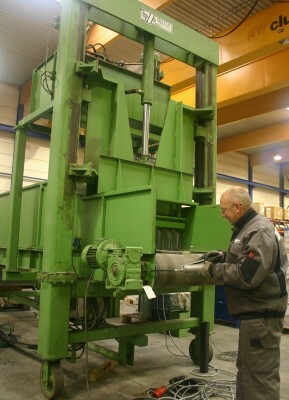 The H-type baling press revamped for increased efficiency at a lower cost! Thanks to the redesign of our high quality horizontal baling press, we are now able to offer an even more efficient solution at a lower cost. The Horizontal Valvan baling press is fitted with a hydraulic vertical sliding door for smooth and safe operation. It is suited for low capacity waste streams and delivers high density well shaped bales. The H-type baler is available from 150kN up to 600kN pressing forces and in different motorizations. Our baling system allows for quick and easy manual tying of the bale with quicklinks, PET/PP strap or cord ties. Although the baler is compact it nevertheless has full bale ejection. The main press plate runs on hardened steel wheels. For baling textiles and materials with high expansion properties, a unique retaining hooks system is included in the pressing channel. This redesigned end door baling press is still as robustly built as Valvan customers have come to expect from us, and will serve their application well for decades to come. We have been able to enhance certain features to make our baling press more economical in initial purchase as well as in maintenance cost. For more information, please contact us through sales@valvan.com or call +32 56 521 380. By performing a regular preventive maintenance, you are assured your equipment remains to operate under safe conditions, both for the machine and the operators. Possible issues can be nipped in the but before they have a chance to cause harm. Normal wear and tear can result in lower machine efficiency. Preventive maintenance assures optimal working conditions and conserves the life span of the equipment. A planned preventive maintenance may cause small hindrance for production, but that is nothing compared to actual downtime caused by a breakdown. Because it is planned, production can propose the optimal time and can factor in the nuisance. Preventative maintenance procedures take less time than emergency repairs and replacements. 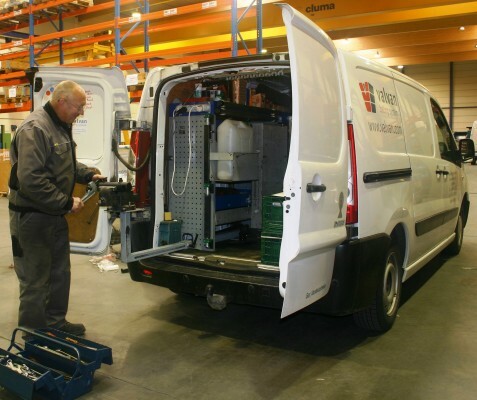 Our technicians dispose of a fully equipped service vehicle with all necessary tools for maintenance and small repairs. During a preventive maintenance on an installation, a maintenance report is made up, in which all hydraulic, pneumatic, electrical and mechanical parts are checked. Remarks are noted in the maintenance report of which the customer receives a copy. Depending on the outcome of the report, Valvan takes action, in consultation with the customer, to plan a next preventative maintenance or a repair intervention with replacement parts. For more information, please contact us through service@valvan.comor call +32 56 521 387. Pursuing our mission for constant innovation and intelligent design, our engineers came up with a brand new design for storage cages. The aim was to design a robust, stable structure that can easily be stacked 3-high for optimal space usage. The method of (un)loading the cage determines the design of the front side: set of wooden boards, hinged metal doors, fully closed metal panel. In regards to the structure itself, we use laser cutting technology, sheet-metal working machines and welding molds to efficiently produce medium to large series at a correct price. 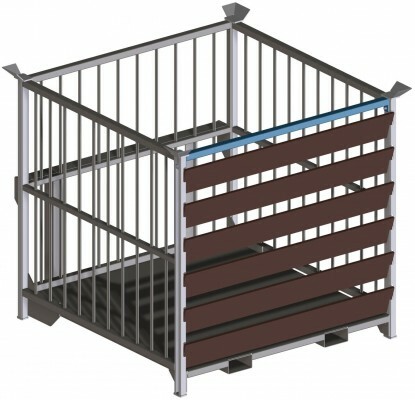 The reinforcing tube in the front is detachable, drastically reducing the space required for storing and transporting empty cages. The tube can easily be put back in place, ensuring the stability. Depending on the type of lift truck used for transport, the robust basic structure can be equipped with two rectangular tubes for lift trucks with forks. Alternatively, a profile can be mounted on the back side, designed to be used by a lift truck with lifting block. Furthermore, lateral reinforcements can be added for lift trucks with bale clamp. Our experience can guide you in choosing the optimal design for your needs. For more information, please contact us through sales@valvan.com or call +32 56 521 380.